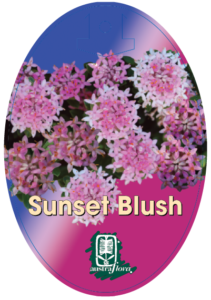 Pimelea Sunset Blush is one of many selections of this very versatile plant. What sets it apart is the fringe of white around each deep pink pompom, adding a lollipop quality that is rather appealing. When the whole plant is in full flower, you won’t see any green. 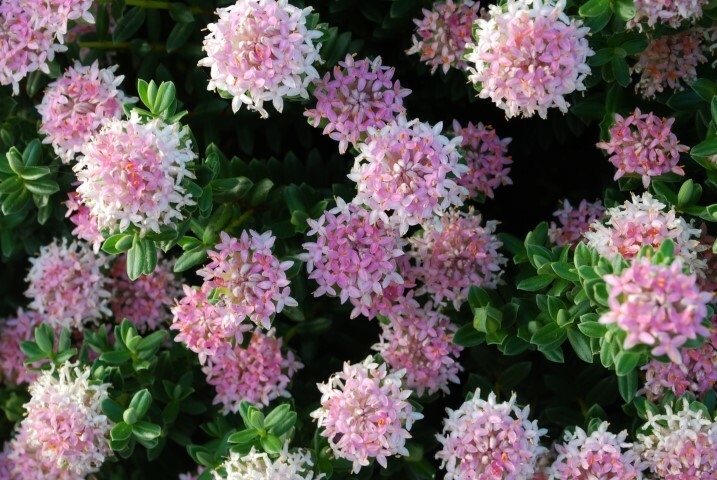 It’s hardy in temperate climates, in well drained clay loams or sandy soils, and is a beautiful container plant for a deck, patio or veranda steps. It doesn’t like frost much, but is happy with a sea view provided there is some shelter from the salty blasts. Trim back the finished flowers and give the foliage a tip prune now and again.